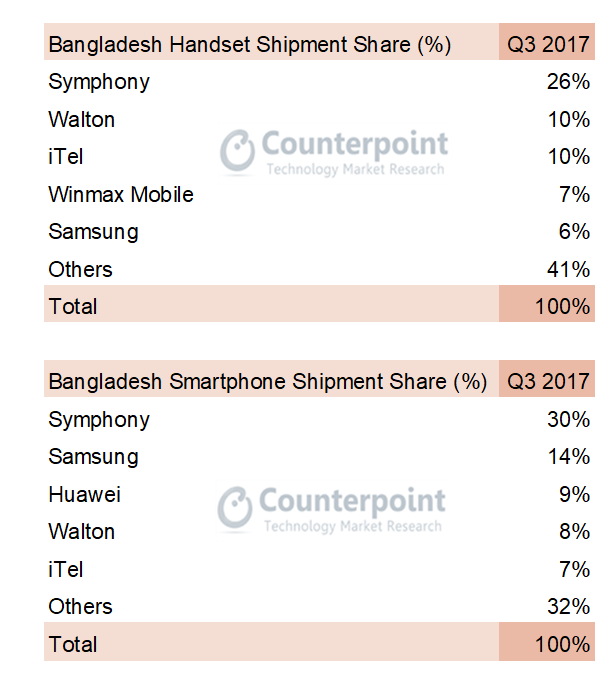 According to the latest research from Counterpoint’s Market Monitor program for Q3 2017 (July-September), the Bangladesh Handset Market grew 19% Y-o-Y and 1% sequentially. Flat sequential growth during the quarter was attributed to excess inventory in the market post EID festival and the impact of heavy rainfall across the country for almost two weeks. Chinese brands continue to grow in Bangladesh and now capture 29% of the market, up from 13% a year ago. The Bangladesh mobile handset market grew 19% annually and 1% sequentially. 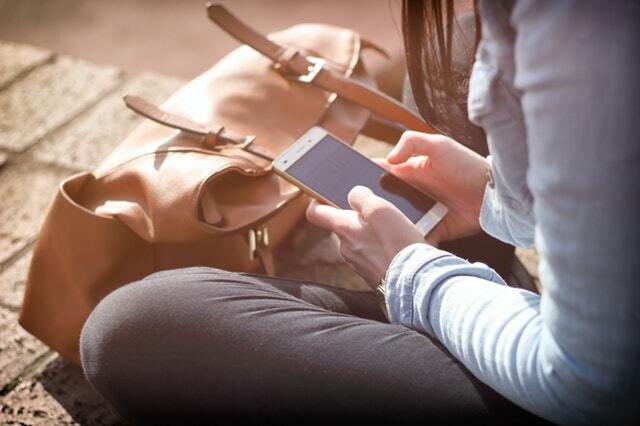 Smartphone growth slowed during the quarter growing by just 3% annually. Smartphone shipments contributed to 24% of the total mobile phone shipments, signaling a slow but steady adoption of smartphones. Chinese brands have been growing aggressively. Symphony Mobile remained the number one handset player in Bangladesh with 26% market share. But its sales declined 24% annually and 19% sequentially owing to tough competition from players like iTel and Nokia. In the smartphones segment Symphony remained the number one smartphone brand with 30% market share. Its entry-level smartphones including V75 and V110 proved popular. Samsung was able to maintain its second position in the smartphone segment with 14% market share. Its sales nevertheless declined 3% compared to Q3 2016. Its Galaxy J2 model was the number one smartphone sold in the country during the quarter thanks to strong promotions. Huawei clinched the third spot in the smartphone segment with 8.5% market share in the quarter. Its low-cost Y series smartphones helped the brand stay relevant to Bangladeshi consumers. Walton was the only other Bangladesh brand to be featured in the top five smartphone brands list, achieving 8.3% market share. In recent quarters Walton has shifted its focus to feature phones. iTel, another Chinese brand, has been aggressively expanding its presence in Bangladesh smartphone market with its low cost mobile phone offerings. The brand at number five captured 6.9% share of the Bangladesh smartphone market. During the quarter Grameenphone also launched entry level devices with Symphony and iTel to target feature phone upgraders. The comprehensive and in-depth 3Q 2017 Bangladesh Market Monitor is available for subscribing clients. Please feel free to reach out to us at [email protected] for further questions regarding our in-depth latest research, insights or press enquiries.